Tritare cipolla, sedano e carota. Soffriggere le verdure nell’olio assieme a un rametto di rosmarino e a un peperoncino. 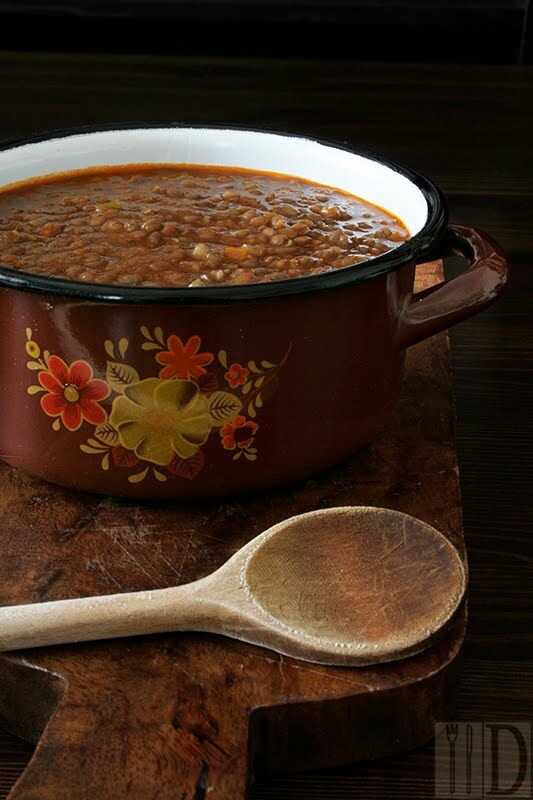 Lavare le lenticchie e metterle a cuocere su fuoco basso in abbondante acqua fredda. Dopo circa quaranta minuti unire il soffritto e il pomodoro alle lenticchie. Poco per volta aggiustare di sale. Continuare la cottura per un’altra ora, o sino a quando la zuppa non avrà raggiunto la cremosità desiderata, tenendo a mente che raffreddando nella pentola asciugherà ancora un po’. Chop onion, celery and carrot. Sauté veggies in oil with rosemary and chili. 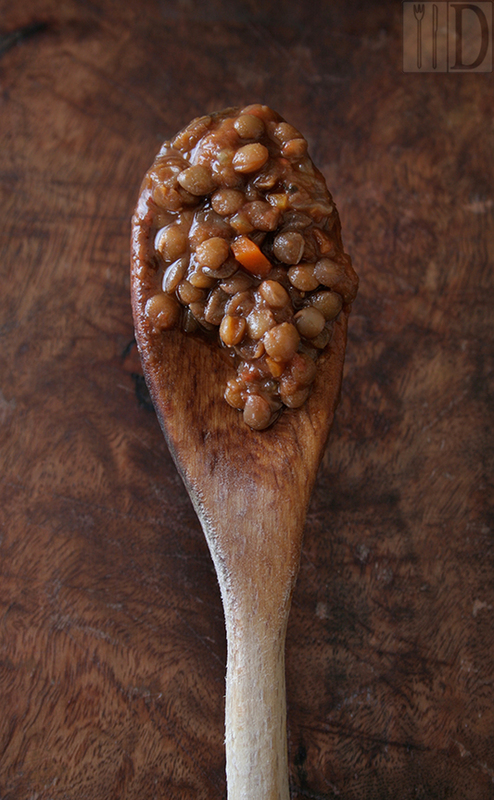 Rinse lentils and put them in a pot in plenty of cold water. Put the pot over a low flame. After about forty minutes pour the veggies and tomato in the pot. Gradually add salt and continue to cook for about another hour or until the soup become creamy. Looks really really good. Warm and comforting! Sigh. @ Sarah: yes, comforting and easy to make, humble but delicious...I love this dish! Lovely post lailla, i like it it's bowl of protine. Second blog I have come across which has made me LOVE google translate. However, the pictures. Beautiful. Thank you for sharing. I look forward to more translated reads in the future. 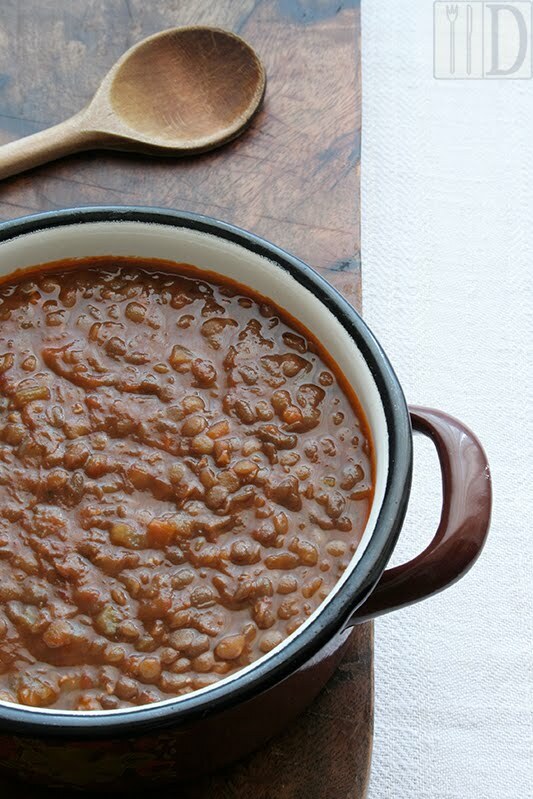 This lentil soup looks so delicious! 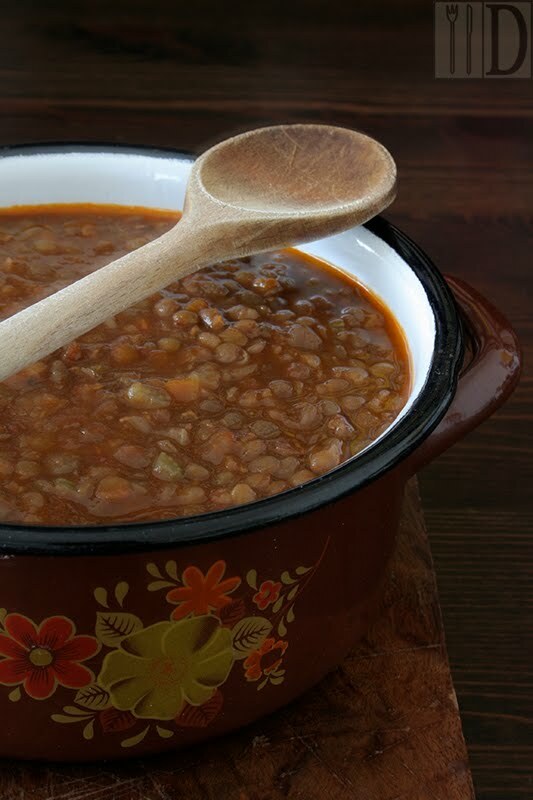 I love lentil soup very much- yum!